Kluane Wilderness Lodge is a 100% self guided operation. In June through the middle of July you can fish around the clock if you desire. 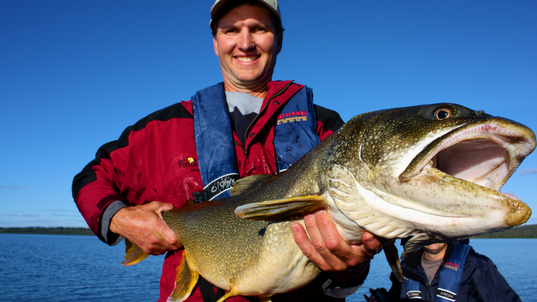 Wellesley is classed as the number one trophy Lake Trout lake in Canada by Field and Stream Magazine. 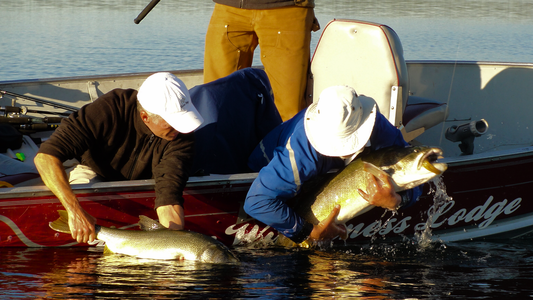 Operated on a catch and release, single barbless hook policy for more than 23 years, this fertile lake keeps producing record catches like no other body of water on the continent. You can jig for them…cast for them….toss flies for them or ….troll artificials for them. You can bring your own gear or we have gear for rent. 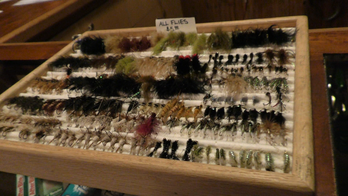 We have a full tackle shop at the lodge to fill all of your needs should you run out or want to try something different. Except for a small section of reef near the lodge there are no hazards to hit unlike other lakes in the north. It is nearly impossible to get lost on the lake and you come and go as you like. 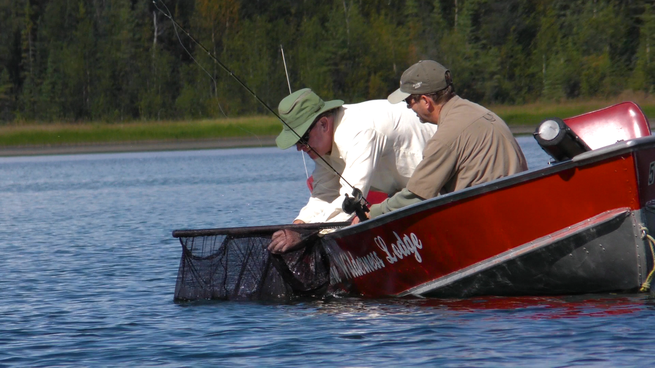 Upon the start of your trip you will be required to purchase a fishing license and to sign a release form, which is a standard practice for the Lodge. After that, your pursuit of a trophy catch awaits.